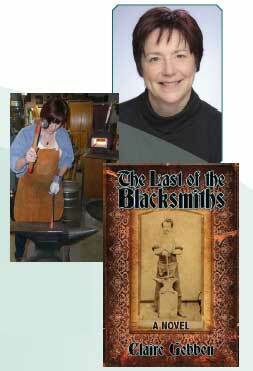 The Friends of the Library Annual Local Authors Book Talk Series features Claire Gebben, who will visit CSU on Wednesday, April 15, 2015 from 3:00 pm - 4:30 pm in the Library, RT 503 to present her novel The Last of the Blacksmiths, the moving story of Michael Harm, a nineteenth century blacksmith from the Bavarian Rhinelands who dares to follow his dreams of freedom and prosperity and travels from Germany to Cleveland, Ohio, to pursue an artisan way of life. It is a tale of the disruption and dispersal of an immigrant family, the twilight of the artisan crafts, and the efforts of each generation to shape its destiny. A consummate storyteller, Claire Gebben demonstrates a brilliant ability to imagine and recreate the past with historical vigor and beauty. She will tell the story behind the story, the discovery of the letters, the "journey" of family history research, and will conclude with tips to help others working on their stories. 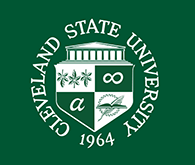 William Barrow, Head, Special Collections at Michael Schwartz Library, will also discuss how Cleveland Memory.org and Special Collections can support family history research, as it did with our featured author. Presentation followed by a question-and-answer session and and a book signing. Last of the Blacksmiths will be for sale by the CSU Bookstore at the event. Light refreshments will be served. Posted 2015-03-25 07:33:43 by Lauren_Felder.